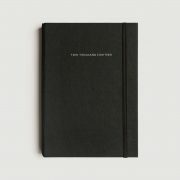 Meet the Non-Diary – the subtle daily diary for people who don’t use a diary. 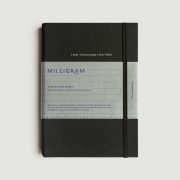 The A5 Non-Diary offers the flexibility of a notebook with the structure of a daily diary. 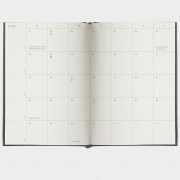 It features subtle dates, plus handy tools like a monthly and annual calendar, but allows the pure freedom of a notebooks blank page. 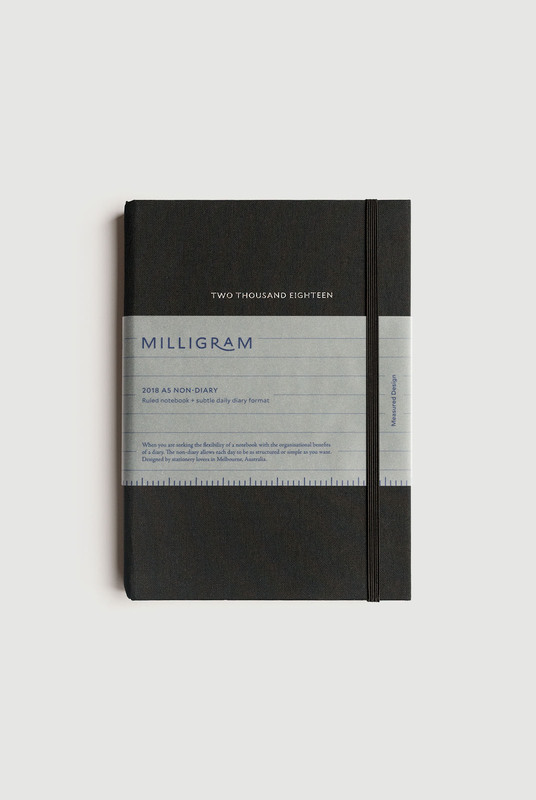 Like any good notebook, the Non-Diary is offered in ruled, blank and grid formats. 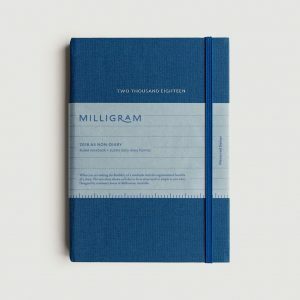 This unique product is wrapped in Dutch linen and features 60GSM fountain pen friendly paper specifically sourced to keep the weight down. 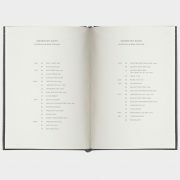 Current day and week number on each daily view page perfect for keeping a date record of notes, minutes or actions. 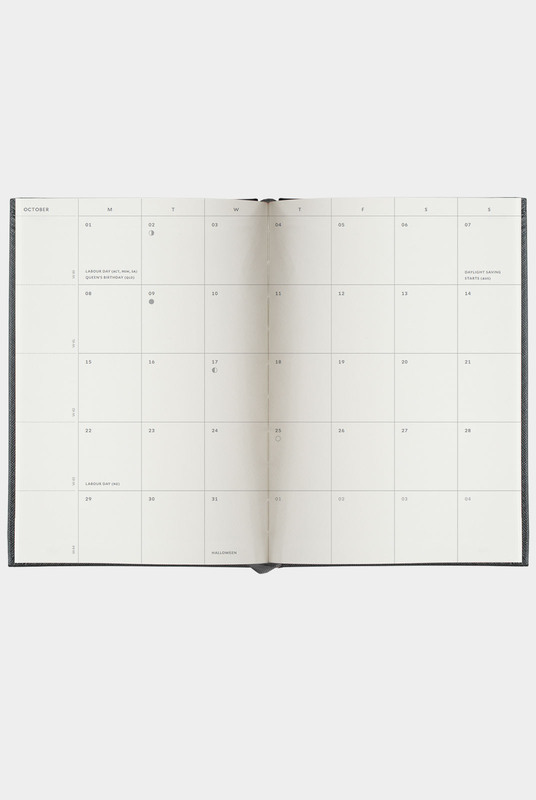 Subtle monthly calendar view at top centre of each daily view page. 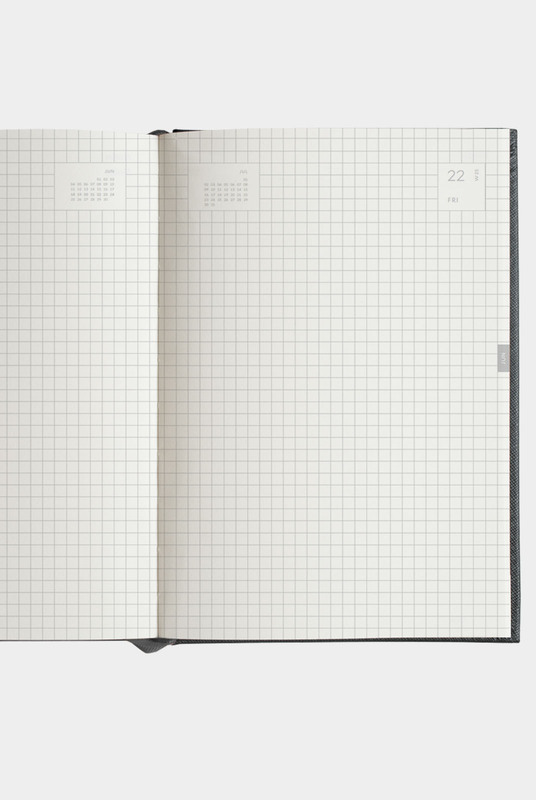 Monthly tab running down the side of the diary to help you quickly find your place. 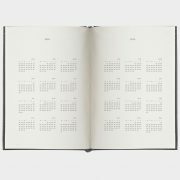 Yearly view pages feature the current year and the next year’s calendar to assist with planning. A list of important dates and holidays for Australia and New Zealand. A two-page spread of time zones across a world map with coloured dots to highlight major cities. Multiple pages for travel planning with generous writing space. 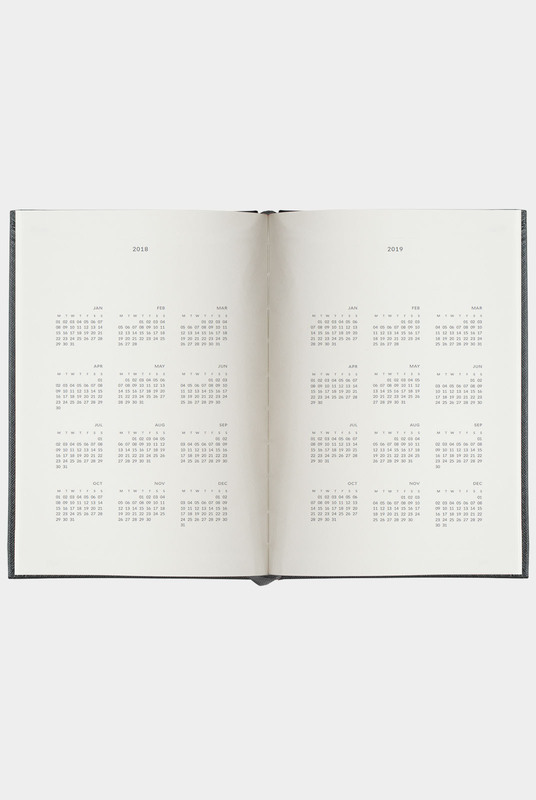 Monthly calendar view before the start of each month before the daily view, with generous layout for notes with extra space on the left for weekly planning (week number of the year). Milligram Studio is designed by stationery lovers in Melbourne, Australia. 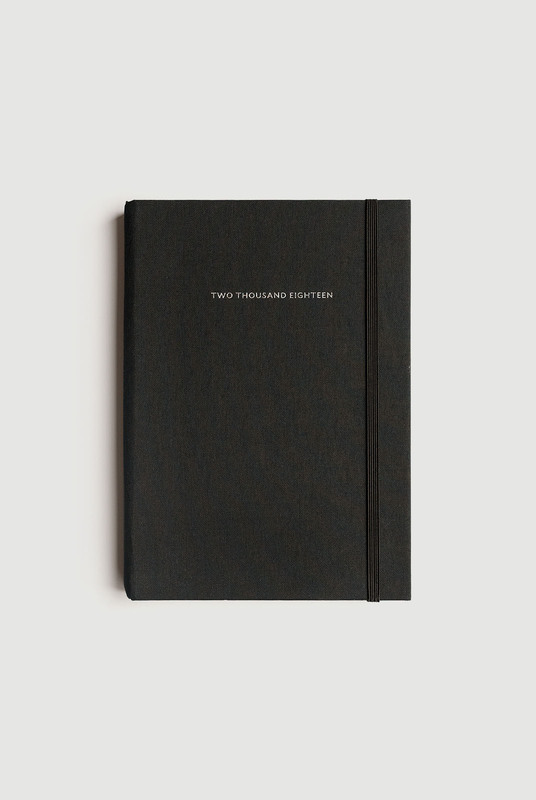 COVER: Hard cover linen fabric. 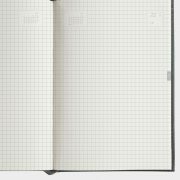 LAYOUT: Daily available in ruled, blank or grid pages. FEATURES: Bound to lay flat. Ribbon bookmark. Elastic closure. Inner pocket. 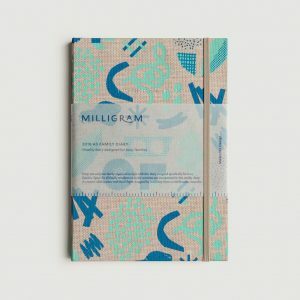 Milligram brand story on last page. 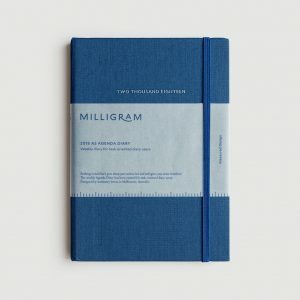 MATERIALS: Dutch linen cover. 60 GSM fountain pen friendly paper, FSC-certified.